Europe is without a doubt one of the most amazing, dynamic and gay-friendly places in the world to visit. You could spend years or decades traveling across Europe and still not see it all. 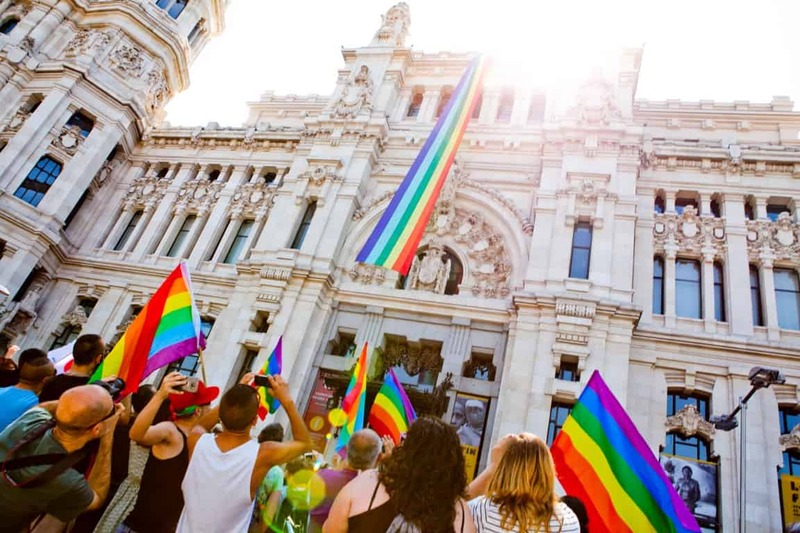 From the Circuit parties and beaches in Barcelona to the history and art of Rome, there’s so much to see, yet so little time.We’ve teamed up with our friends at Rainbow Gay Tours to give you some insider tips to each of these 8 cities below. If you’re planning a trip to one of these places be sure to check out the variety of tours offered in each destination. We’ve known Eloi, the founder of the company for three years now and have become good friends. We can’t speak highly enough about them and you can see for yourself from their 5-star TripAdvisor reviews. Special Offer – Rainbow Gay Tours is offering our readers a 10% discount when booking on their website by using the code TWOBADTOURISTS. Special Offer! 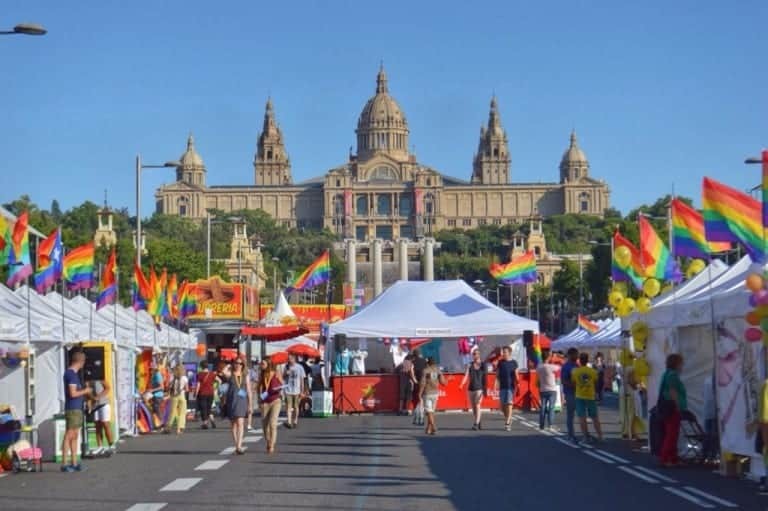 Want to visit Barcelona during Gay Pride? Our friends at Rainbow Gay Tours are inviting gay travelers from around the world to experience an awesome adventure with them during Gay Pride in Barcelona, from June 25th – July 2nd, 2018. Plus, you can save 100€ by mentioning “Two Bad Tourists” when booking. Find out more info here! It’s hip, artistic, international and GAY! 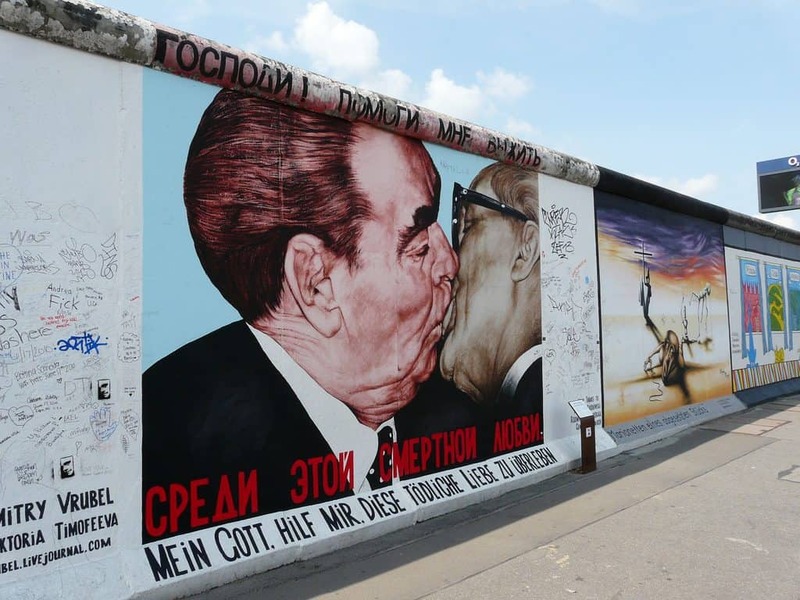 Berlin is easily one of the most gay-friendly cities in Europe with a huge offering to LGBT travelers. Popular neighborhoods like Schönenberg (the most well-known gay neighborhood) as well as Neukölln, Kreuzberg, Prenzlauer Berg and Freidrichshain all have a strong LGBT population living in the communities as well as many gay oriented businesses, cafes, bars and clubs. Yes, not only is Berlin gay-friendly, the number of gay businesses in the city is in the hundreds including popular places like the Axel Hotel or Schwuz and Berghain nightclubs. 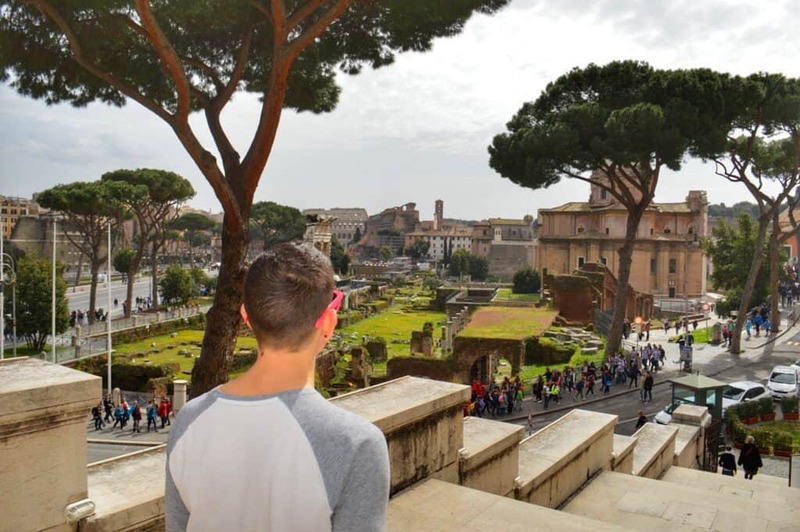 The city has a rocky, yet unique and inspiring history that is one-of-a-kind even for those not so into history. If you haven’t been to Berlin, you’re truly missing out. To get the most out of your Berlin trip join a tour and experience the city center, visit cool Berlin neighborhoods, see the Sachsenhausen Concentration Camp or join a nightlife tour. Many travelers seem to overlook that Portugal makes up a majority of southern Europe’s west coast. That’s too bad because this vibrant country has so much to offer that we find ourselves coming back often. 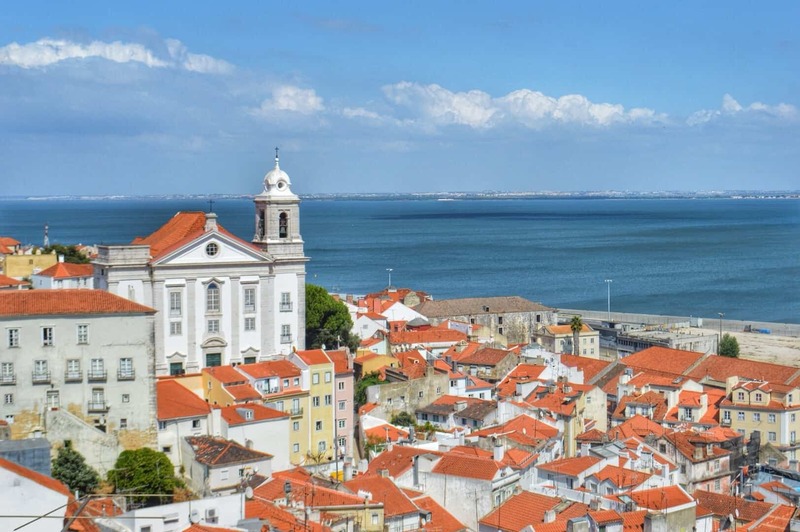 Lisbon is easily the least expensive capital city in western Europe, offers mild year round weather and has plenty of activities for any LGBT traveler. A few top sights include the Fashion and Design Museum, fabulous “miradouros” (lookout points), Mercado Ribeira (the gourmet market) and even the hilltop St. George Castle. Even with so much to do, be sure to make time for the gay beach or a day trip to Sintra and Cascais. After a long day of exploring the city center, consider resting your head at one of the only gay hotels The Late Birds Lisbon. Take a swim in the outdoor pool and relax while sipping a cocktail in the grassy backyard social space. Gran Canaria is a unique, gay-friendly and an adventurous place to visit. It’s a hot gay destination year round due to the warm climate and Maspalomas is its gay capital. Drag shows in Gran Canaria are like the residency shows of Las Vegas, with a slightly smaller budget and a lack of celebrity status. Still, they’re a hit and they’re a must. The Yumbo Centre in Maspalomas is the center of the gay nightlife with gay bars, clubs, restaurants and cafes. 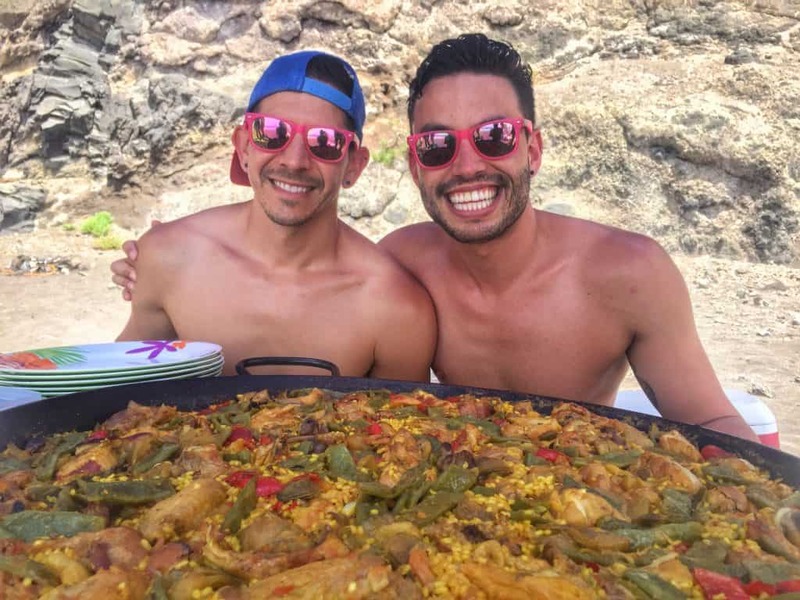 Perhaps the best thing you can do to enjoy Gran Canaria is to take a private gay yacht tour to a secluded beach on the southern side of the island with a friendly, charming gay captain. Rainbow Gay Tours offers an all-day trip on the boat, time spent on the beach and provides tapas and quality drinks. There are plenty of gay accommodations in and around Maspalomas but we recommend Paso Chico, which is a great budget option for private bungalows, with a pool right across from all the gay nightlife. Note: this article is sponsored by Rainbow Gay Tours. As always, rest assured all opinions are 100% our own and we don’t sacrifice our integrity for a sponsorship. In fact, we highly recommend Rainbow Gay Tours to anyone, we’ve gone on their tours before and their great reviews on TripAdvisor speak for themselves. I will be going to key west Fl in june. will like information on budget European tours. if Cultural even better, thanks!